Welcome to Campea and Sons Construction Inc. - the trusted leader in top quality Basement Waterproofing, Concrete and Foundation Services in greater Cleveland OH and surrounding communities. Established in 1980, Campea and Sons Construction Inc. is a family owned and locally operated company dedicated to providing top-notch personalized service aimed at meeting or exceeding your expectations without going overboard with your budget. We started from scratch, with literally just a pickup truck, a pick, a shovel and a sledge hammer. From our humble beginnings and with a lot of honest hard work, we made a name for ourselves. 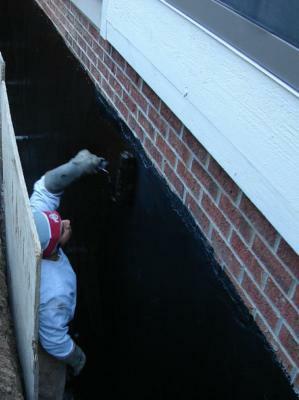 With a solid background in construction gained from years of experience, we have built a solid reputation as the "go-to" company for concrete, basement waterprooofing and foundation services in the Cleveland, OH area. Guy, Aldo, and Antonio look forward to providing you top-notch service, all while improving your home's appearance and increasing your home value, and most importantly, you can count on the Campea crew to put their heart, mind and soul in every job. Located at 14910 York Road in North Royalton, Ohio, Campea and Sons Construction serves the concrete, waterproofing and foundation needs of residential, commercial, and industrial clients in parts of Cuyahoga, Medina and Lorain Counties. As a testament to the quality of services we deliver, we have consistently been given the highest honors on Angie's List. So if you're in North Royalton, West Cleveland, Strongsville, Parma, Parma Heights, Brunswick, Brecksville, Broadview Heights, Independence, Seven Hills, Brooklyn, Brookly Heights, Middleburg Heights, Brook Park, Berea, Medina, Olmsted Falls, Olmsted Township, North Olmsted, Rocky River, Westlake, Westpark, Linndale, Hinckley, Valley City, Richfield and Columbia Station and are looking for top-notch concrete and waterproofing services you can be sure of, there's only one name to keep in mind - Campea and Sons Construction!